Knoxville Concrete Pros proudly offers our hand when it comes to driveway installations and repairs. It is never a good idea to wait too long on getting a repair for your concrete driveway as the issues just tend to worsen over time. The damages can be due to a number of different things but many times can be corrected early on. We also proudly support larger projects with our partners in the commercial industry. We have the manpower and the equipment needed to handle concrete jobs of all sizes and have assisted in many multi-driveway projects for subdivisions. Not only does a driveway add the to outside appeal of a home but it can very much help the overall value. 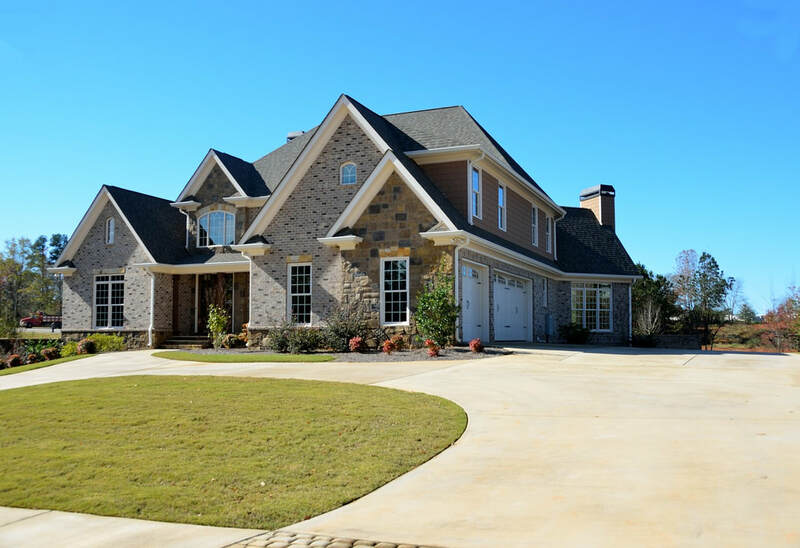 Oftentimes there are strict rules set forth by homeowner's associations about the condition of your driveway, and even before you are able to sell in some cases. Having your driveway repaired can often be a very simple and quick process if the damage has been caught quick enough. The determination on whether or not a repair or seal is possible, we first start by coming out to your property for a visual inspection. We are usually able to tell very quickly what type of work will need to be done to fix the problem but sometimes will need to take some more precise measurements. After looking at the area in question we will give you our honest recommendation on what needs to be done. Sometimes the only choice is for demolition and a fresh pour and finishes if the damage has been allowed to get too bad. If you choose to proceed with the repair it is usually a very quick process from start to finish as concrete pours quickly and with minimal labor. A new driveway or repair of an existing driveway is by no standards a small or simple job. Even a concrete driveway on the smaller end will require a significant amount of concrete which has the potential for a very large mess. It also goes without mentioning that after the concrete has been allowed to dry it will be a very difficult cleanup job! It is much easier and safer to rely on the professionals to make sure your driveway is poured and finished without issues. Even getting the proper mix of water is vital in ensuring the final size of the slab is as intended. We stand by our work proudly when it comes to any and all concrete work. It certainly is not easy work but we have found over the years of serving Knoxville residents how rewarding it can be. A well put together concrete patio or driveway can truly transform your property and give you a whole new appreciation for your home. We are always looking for more customers to assist with their needs and will gladly take on any and all opportunity to keep our concrete contractors busy. Give us a call today for any and all questions you may have about concrete driveways and repairs.